Have you been exposed to ridiculously warm temperatures inside your place this summer ? The type of windows and glass in your home can greatly contribute to the temperature inside. Here’s why. Installing an air conditioning unit isn’t the only way to cool your place down. “Up to almost 90% of heat gained [in the home] can come through the windows,” says Christine Evans from Stegbar Windows and Doors. Toned glass: Acts like ‘sunglasses’ against the glare and reduces the heat entering a home. Low E glass: This glass has a transparent low emissivity coating that reflects heat. Insulated glazing units: Commonly known as ‘double-glazing’, two pieces of glass are used with a gap in the middle, which can be filled with air or gas to provide the ultimate glazing solution. Use with low E glass for greater insulation and toned glass for windows that face the summer sun. Selecting the right style of window will also ensure you maximise ventilation and air flow at your place. Install modern glass like toned or low E glass to reduce the amount of heat entering your home. Select a window style that will allow greater air flow – louvres are a great option for tropical climates. During the day, close blinds or curtains to keep the heat out and consider investing in blackout curtains. In the early evening as temperatures cool, open windows, blinds and heavy curtains to let the cool air in. 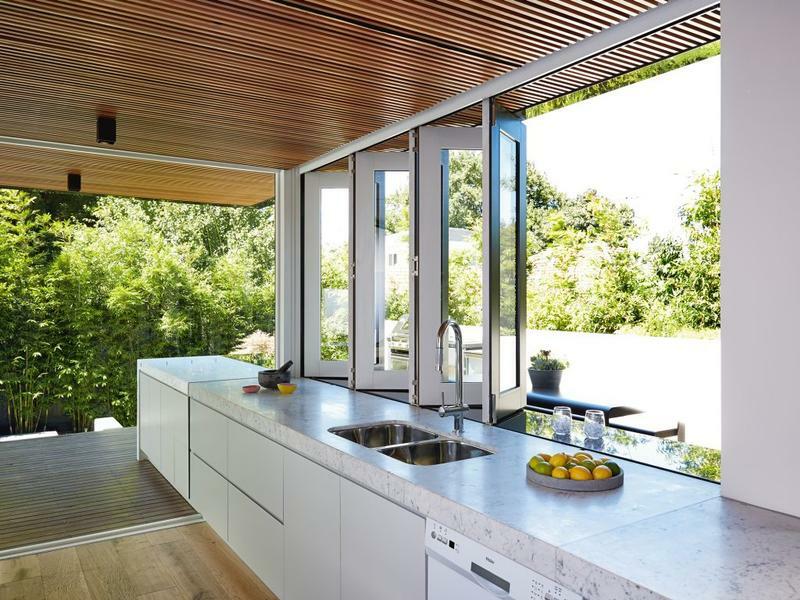 Take advantage of passive design – orient the home to take advantage of cooling breezes, and invest in effective shading like eaves and trees to reduce summer heat entering the home.